Sagittarius quite often decides to live in loneliness – at least for some time. It may seem that they try to make an impression of persons who seek loneliness, but in their heart they would want to have partner. Such a behavior is sometimes caused by long wait on a perfect second half – if they manage to find appropriate and almost perfect person for them, then great emotion flams up. Sometimes are characterized by high precipitation, by which must be careful to properly respect their relationship and with affection relate to partner. Sometimes may feel insecurity and loneliness in their relationship – then have tendency to end it and establish new one. 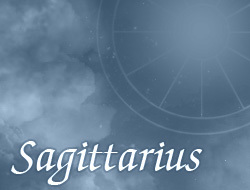 Persons under the sign of Sagittarius want their relationship to be unique, and sometimes even crazy, because they aren't very fond of boredom and at all costs want to avoid routine or stagnation. In building own family, they want to provide a lot of warmth and loves. They tend also to material stability, in order to provide a worthy life for their family. However, they highly appreciate freedom in the relationship – they often don’t like when partner tries to impose something. Love this site, its really inspiring, gave me a lot of guideness. *****stars.